Wishing you and your family Merry Chrstmas, Happy Holidays and a Great New Year with lots of time on the water. 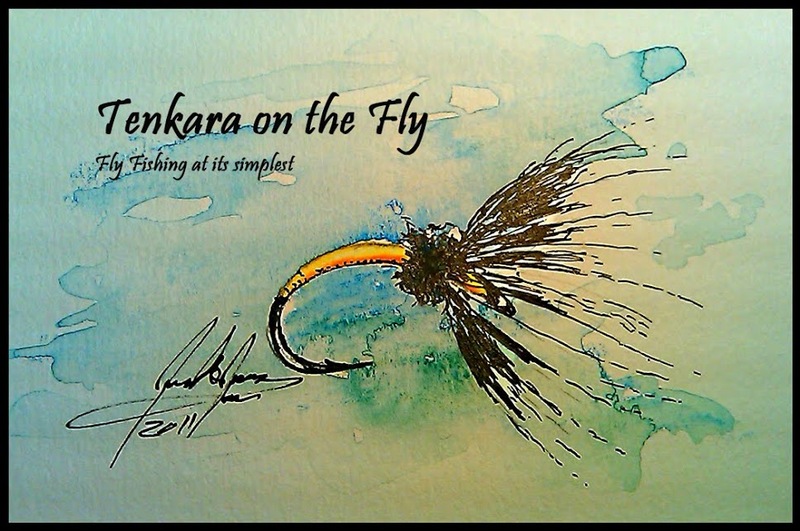 Thanks for being a reader and showing interest in my attempts putting my tenkara fishing experience in words. I picked-up some red salmon egg hooks at Walmart the other day and wanted to see how a they would look with some thread and hackle. I guess it'll catch some fish, what do you think? I know it has been very quiet here lately. Things have been very slow for a few different reason, but a very busy business and family schedule is to blame for the most part. But it is also Winter time here on the Front Range and we have had a few snow storms already, leaving a white blanket of snow that hasn't melted yet, thanks to temperatures that dipped all the way to the single digits and still stay in the 20ies at night and 30 or low 40ies during the day. Some of the creeks I used to fish are running low and have some ice already. Tailwaters will be the name of the game for the next few months. I have been relegated into my man cave, doing some fly tying under the guidance of my daughter who has an excellent sense for interesting color combinations. She discovered my fly tying bead box and showed a lot of interest in it, so some of the flies I have been tying had a bead incorporated and I have to say, I would be surprised if those flies would not catch fish. Also, I have been tying some simple sewing thread body flies (aka Ishigaki Kebaris) with a grizzly hackle that look like I could convince a trout here and there to sample them. Those are quick and dirty ties (and they will certainly not win any beauty contests! ), and tying with sewing thread is not as clean as with your standard 6/0 or 8/0 tying thread. Tenkara USA printed their first ever catalog, it's a beauty and contains a lot of great information for the novice tenkara angler.